SophosLabs has raised its threat level to "High" in response to an as-yet unpatched security vulnerability in Internet Explorer. The zero day threat was uncovered at the weekend and impacts most versions of Windows. 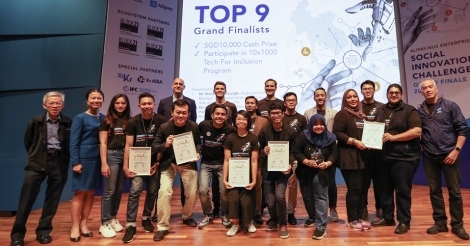 Indonesia is increasingly being seen as the next big technology market, driven by its population of 250 million and its rank as Facebook’s fourth biggest market and Twitter’s third, which is why the limelight will be on the Sparxup tech event in Jakarta in October. The Hack In The Box Security Conference (HITBSecConf), which attracts the world’s leading security professionals every year and is celebrating its 10th anniversary in 2012, has expanded its popular Capture The Flag live hacking competition. In the last 12 month, sales of over 118 million units across the seven key markets in the region—Singapore, Malaysia, Thailand, Indonesia, Vietnam, Cambodia and the Philippines – brought the total worth of the mobile phone sector to more almost US$137 billion, according to the latest results from GfK Asia. Travel companies are still struggling to determine how best to harness social media platforms, according to travel industry research firm PhoCusWright. National Instruments has announced the establishment of the National Instruments Academy & Innovation Nucleus (NI-AIN), in collaboration with Technology Park Malaysia Corporation and SME Corp Malaysia. Catcha Media Berhad (Catcha Media) announced today its subsidary, iCar Asia Limited (iCar), successfully completed its initial public offering (IPO) on the Australian Securities Exchange (ASX) on Sept 11. Since it started 10 years ago Hack In The Box's annual gathering of security enthusiasts has grown to become one of the world’s leading events for groundbreaking talks on cutting-edge IT security research, with events in Europe and Asia. HITBSecConf2012 returns to Kuala Lumpur from Oct 8-11 at the Intercontinental Kuala Lumpur hotel. The National ICT association Pikom has urged the Government to retain English as the medium of instruction for Mathematics and Science subjects at all levels in a bid to address the critical shortage of ICT graduates who meet industry demand.